You can see the design changes, including the new buttons, the redesigned hinger, as well as more subtle changes. 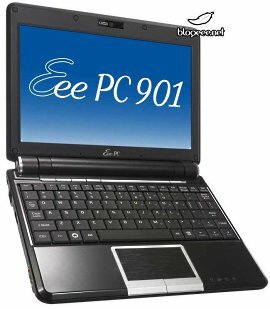 The Eee PC 901s will be powered by Intel’s Atom platform and should be available starting sometime next month. This entry was posted in Articles, ASUS, Intel Atom, Netbook. Bookmark the permalink.